Ensuring that assessment meets the standard required by industry is essential in order to satisfy employer demand for a safe and competent workforce. Assessment includes Recognition of Prior Learning (RPL) for existing workers. It’s common to hear from rail signalling personnel who believe that they need to obtain a Certificate IV qualification to demonstrate their competence for an employer or for a Rail Industry Worker (RIW) job role description. For some workers, RPL is (mistakenly) perceived to be a fast track to ‘competence’ or a qualification. RPL is typically offered as a pathway to gaining a current qualification for people who have a work history or a pre-Training Package trade qualification. RPL is often interpreted as, ‘If you already have the skills and knowledge, you don’t need to do the training’. But there are a number of RPL myths that cause confusion about what competence in rail signalling means and what it takes to demonstrate competence by RPL. To understand RPL, it’s useful to have a grasp of what it means to be competent and how competence can be demonstrated. Competence has a meaning in Vocational Education and Training (VET) that’s different to its use in a rail ‘competency matrix’ context. Competence in VET is ‘the consistent application of knowledge and skill to the standard of performance required in the workplace.’ (www.voced.edu.au/glossary-vet) This performance standard is described in a unit of competency – a competency standard. The RIW definition of ‘competence’ can differ by referring to a mix of national competency standards and ARO–specific role statements. These organisational role ‘competence’ statements may not be linked in any way to a national unit of competency or qualification. Typically a unit of competency prescribes the knowledge and skills required to perform a job function including, for example, preparation; OHS and job pre-starts; performance of the task; handling of unexpected situations; job -site clean-up; removing any OHS processes put in place; correct job waste disposal; and reporting of the job. Myth #1 RPL is a quick and easy option. One of the most misleading of myths and misconceptions about RPL is that it is somehow intended to be an easy option. Far from it. Picture what it means to be competent in a safety-critical environment like rail signalling and you will understand why the evidence requirements of RPL assessment must be rigorous. Quality RPL demands proof that at the time of assessment a person is competent in the knowledge and skills required by each unit of competency. In simple terms, the applicant must provide evidence that they are competent in each element of the task being assessed. Myth #2 I need a qualification to be competent in my job. In reality, you may only need a cluster of units of competency relevant to your job role as evidence of competence. For some, achieving the full qualification may not be possible, typically through an inability to meet the core skill requirements because of knowledge or skill gaps. An RPL candidate in a rail signalling ennironment may struggle to be successful in an assessment if they’re not currently doing the job. Myth #3 I’m a degree qualified electrical engineer, so I can easily claim the Certificate IV rail signalling qualification. Not so. Having a higher (degree) qualification doesn’t automatically confer the Certificate IV, or any other VET qualification. The Certificate IV is a trade qualification (with pre-requisite requirements that include an electrical licence) which demands electrical trade skills. An engineering degree (any degree?) is more about design and theory than the application of skills and associated knowledge. To demonstrate competence a person must be able to produce evidence that they can meet the requirements of a unit of competency. Their knowledge and skills must be current so that, if asked to demonstrate a skill, the person could perform the task without rehearsal. Myth #4 RPL is a simple process in which a candidate provides a paper trail of information showing that they have done the job before. To satisfy the rules of competency-based assessment recent evidence confirming competence is required. Whatever its form, evidence must be valid, reliable, authentic and current. For RPL of a rail signalling qualification or competency standard, documentary evidence alone may not be sufficient or reliable evidence of currency. Some documents (log books, for example) can be falsified, while others are unclear about who completed the task being addressed. Other supplementary evidence (for example third party reports) may not give a complete picture of competence against a unit. Quality RPL assessment in signalling must include the demonstration of essential skills to support documentary evidence. This demonstration of skills ensures that employers and industry can be confident that the employee can really do the job, safely, today. 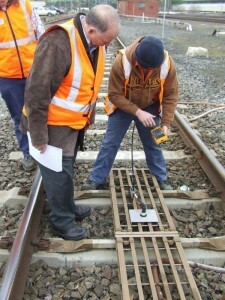 emphasising ‘safety–critical’ as underpinning the meaning of competence in the rail context..